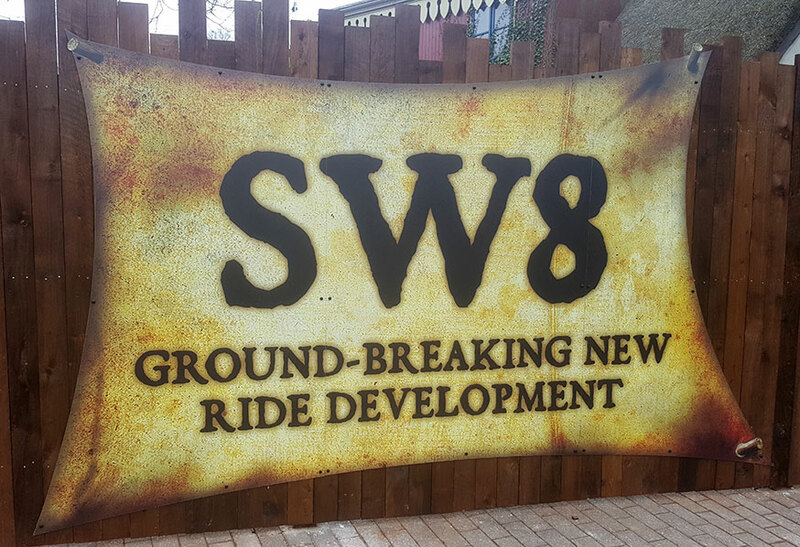 SW8 Planning Permission Granted – TowersStreet - Your premier Alton Towers guide! 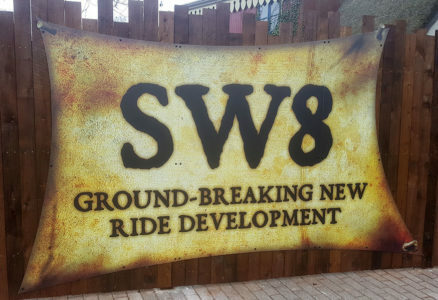 Planning permission for Alton Towers’ new wooden rollercoaster, codenamed SW8, has been granted today (Thursday 25th August). The plans were unanimously approved, subject to conditions, by the Staffordshire Moorlands District Council (SMDC) planning applications committee. 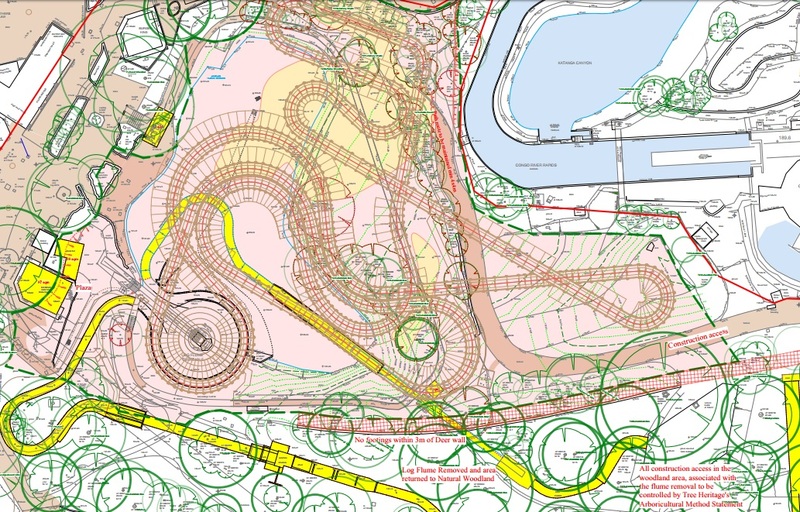 Alton Towers first submitted plans for SW8 in May 2016, revealing a GCI wooden rollercoaster on the former site of The Flume. Amended plans were subsequently put forward at the start of August 2016 showing a smaller station building and separate shop; these were previously combined. During the following consultation period two letter of objection and five letters of support were received from the public. No objections were received from other consultees including Heritage England and Alton Parish Council. The SMDC planning officer gave a recommendation for approval; it was determined that the economic, social and environmental benefits of the development ensured that the balance was firmly in favour of granting planning permission. 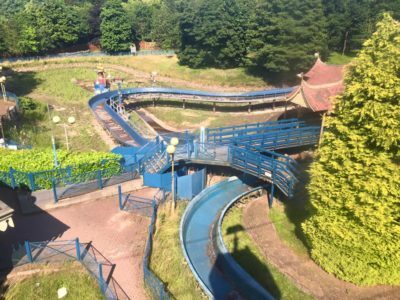 It is not often that a new rollercoaster development at Alton Towers would be seen to bring an environmental benefit. However the council’s conservation officer said that despite some initial harm to the setting of the listed stables (the Courtyard area in Mutiny Bay) this would be less than substantial and become negligible over time as new planting matures. She welcomed additional tree planting in this area to help integrate the ride with its surroundings. The removal of parts of The Flume from the wooded area, which is part of the Grade I registered parks and gardens, allows this area to be returned to woodland and was seen as a benefit of the development. 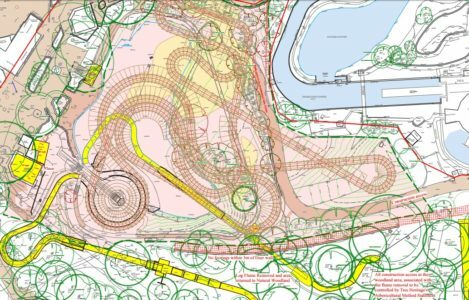 As parts of the conditions that have been set out, commencement of the development must not take place until Alton Towers have submitted more details to SMDC. These include samples of external materials and finishes, a scheme of drainage works, a scheme of archaeological investigation, a management plans for parts of the Deer park wall within the application site and tree protection measures. A construction and environmental method statement also need to be submitted and approved, this should include details such as hours of work for construction, noise mitigation and a scheme to minimise dust emissions from the site. A full scheme of lighting must be submitted and approved before the ride is brought into use. Noise limits have also been set out and noise will be monitored after the ride has opened to the public to ensure compliance. Work on SW8 is due to begin in September this year and will start with the demolition of The Flume. Construction is scheduled to be completed in December 2017 ready for a spring 2018 opening. You can read more about SW8 in the future section of TowersStreet. Keep up to date with construction on Alton Towers’ latest rollercoaster on our Facebook and Twitter pages, and don’t forget to join in the discussion on our Talk forums.